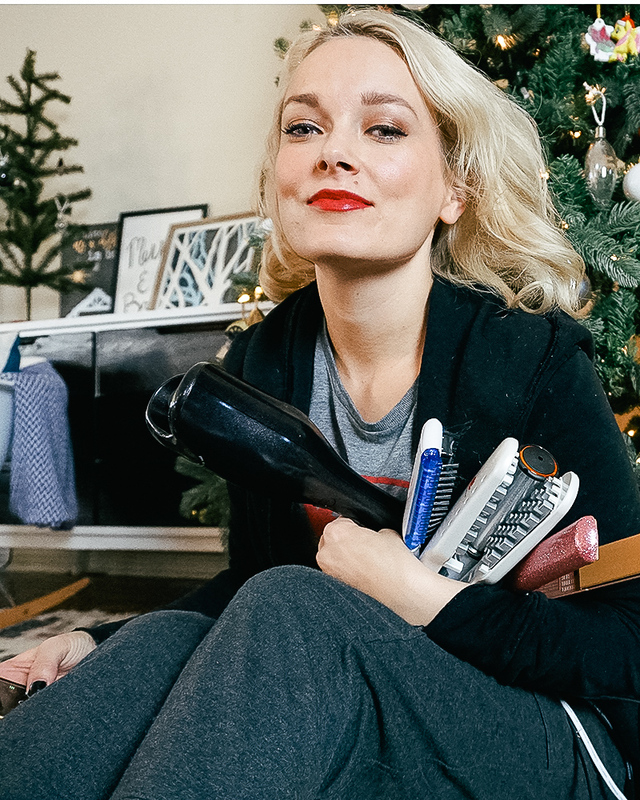 I’m pumped to show you my hair styling tools holiday gift guide! 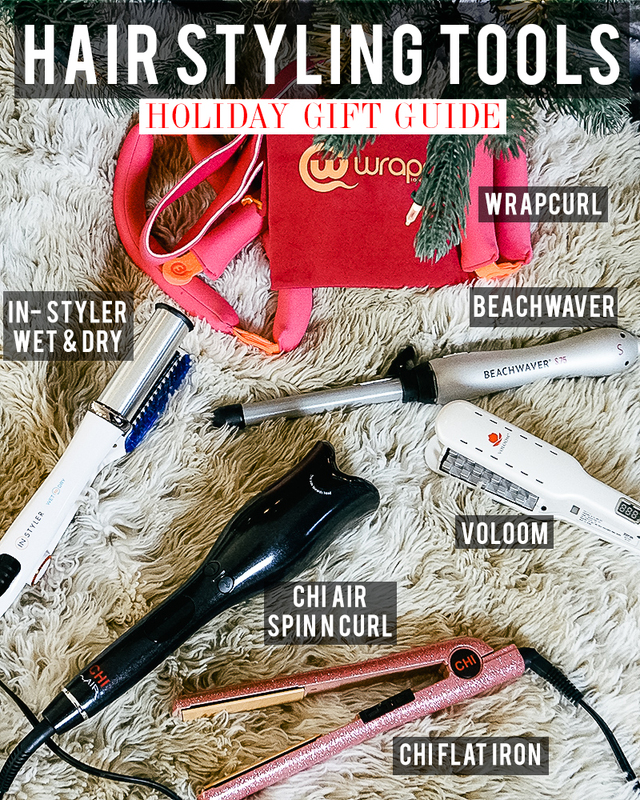 I am showing you the latest hair curling tools like the Chi Air Spin n Curl, VOLOOM for extra volume, flat iron for super straight hair and more. Getting a new hair tool for Christmas from Santa is always a hit or as a special for yourself. 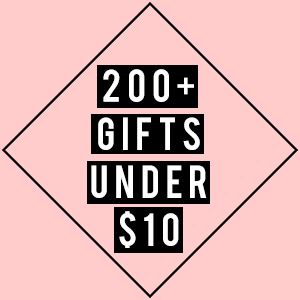 I am sure you will be ringing in the new year with some gift cards to spend. 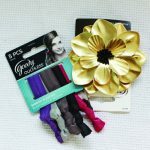 Check out these awesome hair styling tools that I’m loving. 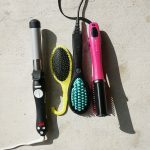 Here are 6 hair styling tools from different ways to curl your hair to ways to curling your locks into something Marilyn Monroe would be jealous of. Make sure to add these to your Christmas list for someone else to unwrap or for yourself this Christmas. I promise, they will be a major hit! WRAPCURL: Just wait for a tutorial from me on the Wrapcurl genius hair curling tool because it’s quick and easy to use. You just place a velcro band around your head and place the pink packs into the microwave for one minute. Take them out (they aren’t hot), wrap different sections of your hair up into them and velcro them onto the band. Leave them in for about 25 minutes while you’re doing other things, take them out and boom, voluminous curly hair. 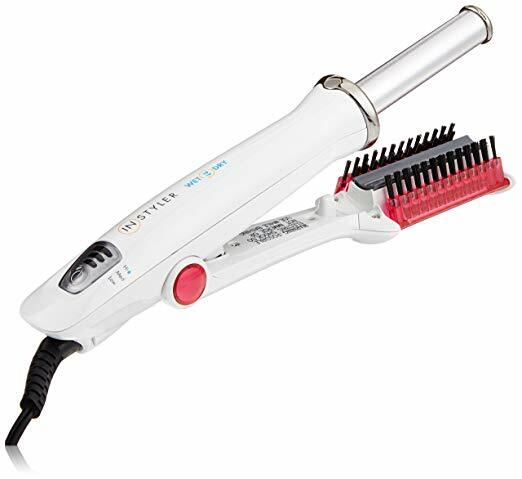 In-Styler Wet to Dry: If you haven’t tried the In-Styler Wet to Dry hair styling tool, you should! With damp hair, you can use the Wet to Dry hair tool and begin styling your hair to make it straight and slightly curled at the bottom with added shine. Plus, who doesn’t want to get dry hair while straightening it at the same time? 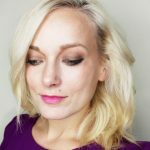 Beachwaver Hair Curling Wand: I own two of the Beachwaver Curling wand in two different sizes and absolutely love them. 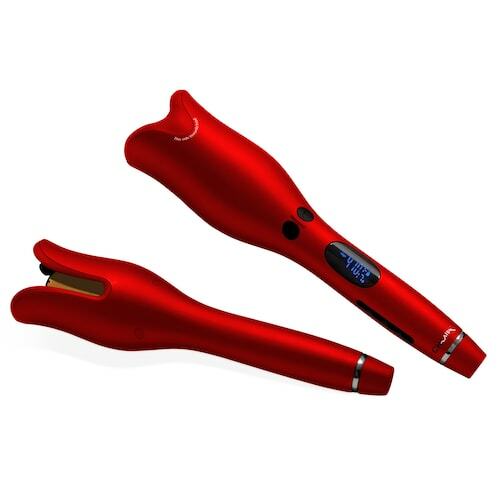 You clip a strand of hair in the lever, press the button, and your hair automatically starts to twist up into the wand. 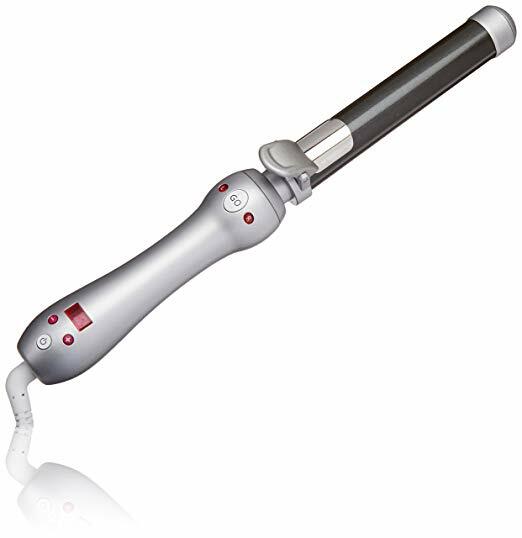 It’s the perfect way to quickly curl your hair with a curling wand without having to fuss with the wand itself. 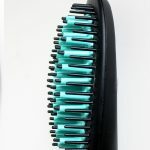 VOLOOM Volumizing Hair Tool: Now if you have notoriously flat hair, pay attention because this hair tool is for you. All you do is clamp this hair tool to the root of your hair, and pull it through and you get this crazy volume to the roots of your hair! 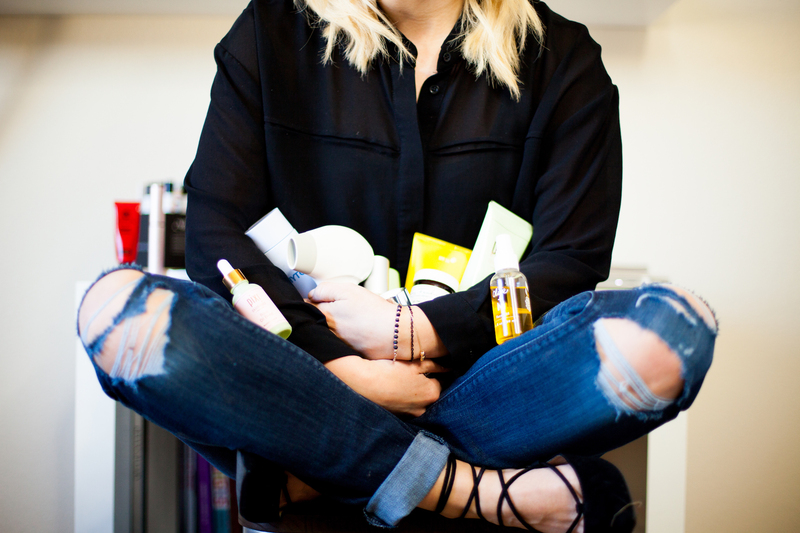 You don’t need a blowout, or root lifting products; just the VOLOOM! 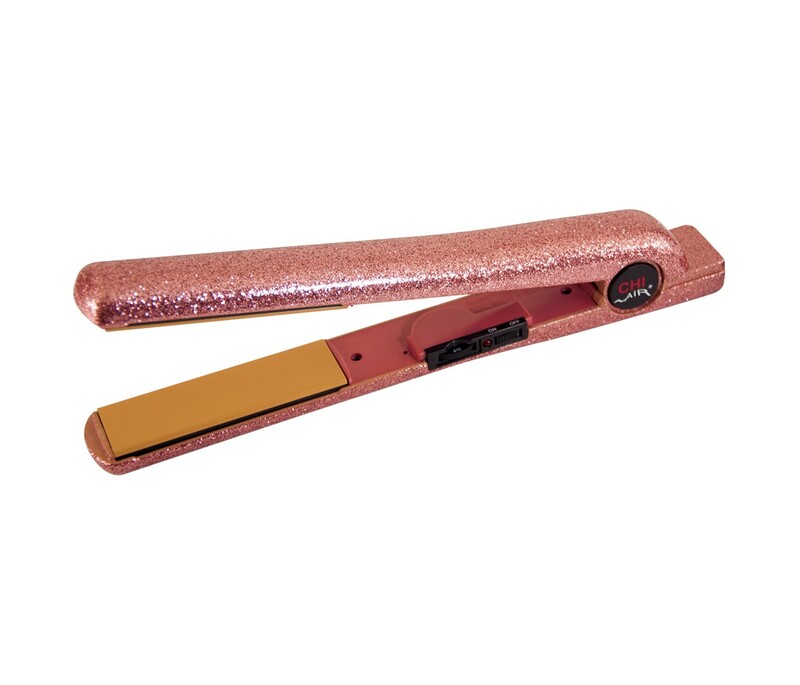 Chi Sparkly Flat Iron: Check out this beautiful pink flat iron with Tourmaline Ceramic plates to help protect your hair against heat damage. 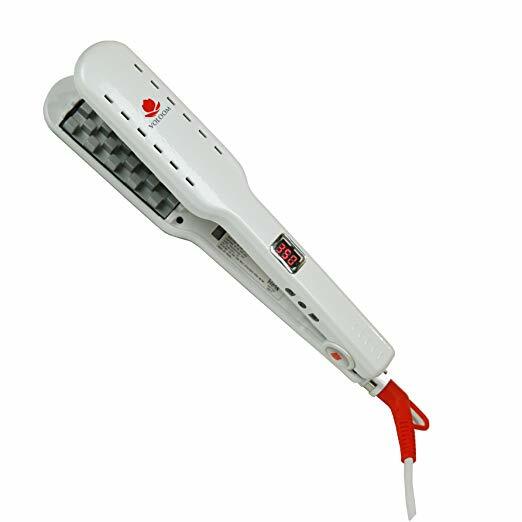 You can easily curl your hair with this hair straightener or get it silky and straight in minutes. It heats up quickly and also has auto shutoff when it’s not in use. You can find this exact Chi Radiant Rose 1 inch Flat Iron at Target. Did you find anything you like? Have a Merry Christmas! 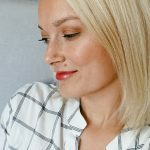 note- There are affiliate links in this post! Thanks for using them.